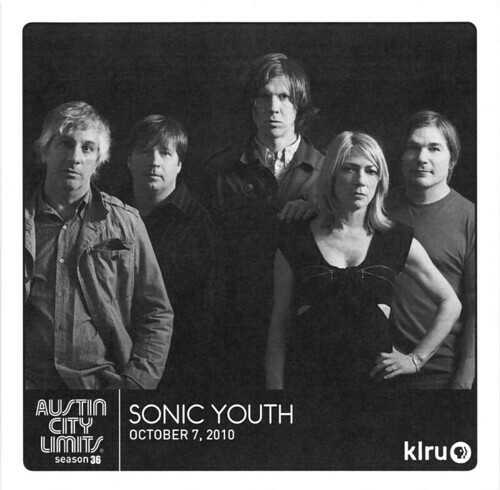 As a part of my post on Sonic Youth’s Austin City Limits taping earlier this month, I mentioned speculation about who will be the final guest at the ACL’s current location in the Communication building on the UT campus. Well, speculate no more, and though it was a good guess, Corcoran was wrong. Austin City Limits has just announced that the final taping will be November 8th and the guest will be Lyle Lovett. AUSTIN CITY LIMITS is the longest-running music series in American television history. More than 500 episodes featuring more than 800 performers have originated from the modest and unassuming Studio 6A since tapings began in 1974. The AUSTIN CITY LIMITS story is one of unparalleled passion for music, commitment to excellence, and perseverance against many odds. What began as a modest Texas music series has gone on to become the only television series ever to be awarded the prestigious National Medal of the Arts. And it has made so much history in one small room that the Rock and Roll Hall of Fame and Museum declared that it was one of the few rock and roll landmarks worthy of official recognition, an honor that was bestowed upon the show in March 2010. Lyle Lovetts history with AUSTIN CITY LIMITS runs deep. When he first came to Studio 6A it was as an audience member, and he made his first appearance on the show as a backing singer for Nanci Griffith in 1985. Since then, he has come to know the stage well, appearing on the show no less than 12 times, making him one of the most frequent guests in the shows history. When it comes to presenting live music, AUSTIN CITY LIMITS embodies its motto of Great Music. No Limits. Accomplishing what no other show has done in the history of American television, the series has, for nearly four decades, presented audiences with the most diverse, original, cutting-edge talent music has to offer. Past performers have included Willie Nelson, Asleep at the Wheel, B.B. King, Roy Orbison, Johnny Cash, Jerry Lee Lewis, Ray Charles, John Fogerty, Robert Plant, Neil Young, The Dixie Chicks, Dolly Parton, Kenny Chesney, Emmylou Harris, Elvis Costello, Van Morrison, R.E.M., Allen Toussaint, Arcade Fire, Patty Griffin, Spoon, Coldplay, Wilco, Norah Jones, The Flaming Lips, The Dave Matthews Band, Jimmy Cliff and many, many more. The shows next chapter continues in early 2011 with Season 37, originating from its new home at The Moody Theater in downtown Austin. The new studio location will enable more fans to watch future live tapings and provide an enhanced experience for all future shows, while maintaining the intimacy, character and integrity that have been the hallmark of AUSTIN CITY LIMITS for more than three decades. Since it’ll be pretty much impossible to get in to that taping, they’re offering a simulcast party at Hogg Auditorium as well. A new episode of Austin City Limits with Robert Earl Keen and Hayes Carll airs this Saturday at 7pm on KLRU (or you PBS affiliate). There is no quicker quick-lunch than carry-out, and Artz Rib House is a fine place to find it during the mid-afternoon lull when so many dining establishments have closed their doors after the lunch hour and have no plans to open them again until the dinner hour nears. My true confession is that I have never sampled the eponymous ribs. I rely on the brisket, which is not greasy and bears no trace of ketchup flavor. The sauce at Artz is not sweet, and it contains jalapenos. And the links, of the finest, are from Austin’s own Smokey Denmark. I really miss the Pit on South Congress (although at least the building won’t be empty long–look for New India Cuisine in that location soon), but let’s be thankful for Artz. I am. Very. Grace Methodist Church, just east of South Congress on Monroe, has the perfect pumpkin patch for the little ones. There are places to pose with pumpkins, bales of straw, and scarecrows, but nothing is too overwhelming for even the youngest. We saw little girls wearing orange tulle skirts with spangles, and little boys having their pictures taken with pumpkins small and light enough for them to hold in their arms. The smallest gourds have already sold out, but there are large warty ones in various colors to enhance anyone’s autumn decor beyond what pumpkins can do. We missed the fair and bake sale yesterday, but there will be another bake sale this coming Saturday. Grace United Methodist Church is located at 205 East Monroe, just a block away from the South Congress bus line. Hours are 4 to 7 pm Monday through Friday, 10 am to 7 pm on Saturday, and noon to 7 pm on Sunday. Prices of the pumpkins vary by size. Proceeds go to support good causes. The laptop is not in its first youth, but now, thanks to PC Guru and Trusty Technician Ken, this aging Dell notebook specimen has been renewed and is leading a second life. There was suspicion that the pink tones and subsequent screen blackouts were probably caused by a CFB backlight that had lost its usefulness. This proved to be the case. A cracked hinge was also noticed and replaced, and the balky on/off switch assembly was reseated. I was so happy to invest in a so-called “rush fee” to receive expedited service, and on a Saturday, too. I had scarcely returned home before it was time to head back to the Twin Oaks Center to pick up my antique, now in working order and rejuvenated. This is the third time that I’ve consulted PC Guru, although the first since the move from South Lamar to Twin Oaks at Congress and Oltorf. It’s wonderful that this service is available on Saturdays (from 10 am to 4 pm; call to confirm). I still miss the giant neon-lit Twin Oaks sign, but this little strip center, once at the very edge of Austin city limits, still offers many a useful service, including florist, barber shop, Chinese restaurant, shoe repair, optometrist, electronics shop, thrift store, dry cleaners, and more. I highly recommend that anyone going to ACL check out MUSE at 8:30 Saturday night. I think they are one of the best bands making music today and they put on an amazing live show. You’ll be amazed at such a huge sound coming from just three amazingly talented guys. Each member is amazing on their own but together the three of them are a Supermassive Blackhole of rock epicness. Season 36 of Austin City Limits kicked off this past Saturday with Jimmy Cliff. The festival that bears its name starts today so that means that there are several tapings this week. I got the chance to check out Sonic Youth last night. Monsters of Folk taped Wednesday night. Band of Horses will tape Saturday night. The National will tape on Monday and the Black Keys will wrap things up on Tuesday. Sonic Youth is one of , if not THE, elder statesman of alternative/indie/punk rock. I’ve followed them since the late 80s around the time that Steve Shelley joined. I was a big fan of his from the Crucif**ks days. The band has actually been around for over 30 years, According to a trivia contest on their site for the La Zona Rosa show Saturday night, their first show in Austin was 08.27.1985 with Scratch Acid opening. Their most recent album, The Eternal (“Antenna”, “Sacred Trickster”, and “No Way” are stand outs), was released last summer on Matador Records after choosing not to renew on their 16 year major label relationship with Geffen/DGC records. For those of you old enough to remember, Sonic Youth played a role in Nirvana signing with Geffen in the early 90s. The two bands were featured in a documentary on their 1991 European tour that I think is out-of-print now, 1991: The Year Punk Broke. It’s a great documentary if you can track down a copy.